We have finally finished the fall project we started nearly a month ago. 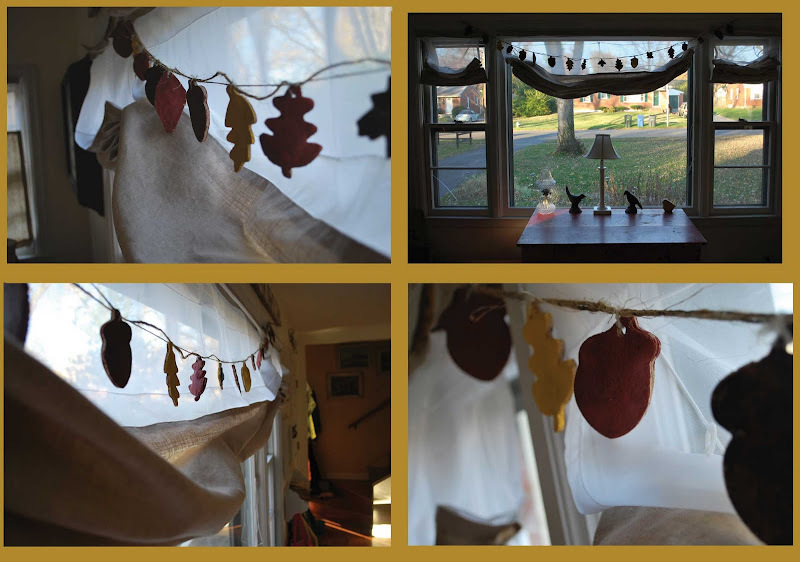 We wanted to make fall leaf garland from salt dough leaf ornaments. Sounds easy enough, right? Well overall it is, but each step seemed to take us forever. Baking the ornaments, painting the ornaments, stringing them on twine, and hanging them was a tedious month long process. Oh well...its done and overall we had a great time making it...and it turned out how we envisioned!